The Israeli parliament - the Knesset - is home to Israel's ruling body, as well as to some impressive artwork by Marc Chagall. The Knesset is the Israeli parliament - the term refers both to the legislative body and to the building that houses it. It is named after the Anshei Knesset Hagedolah – the legislative body formed by Ezra and Nechemia when many Jews returned to Jerusalem from the Babylonian exile in the fifth century BCE. 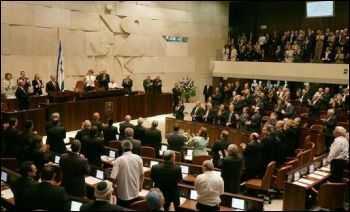 Like Ezra's Great Assembly, the Knesset has 120 seats. Photo by Beny Shlevich under a GNU Free documentation license. The Knesset was not always housed in such august surroundings. 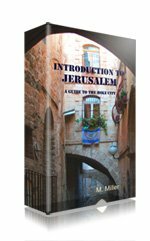 For many years, it met in various buildings around Jerusalem, until 1966, when the present building was dedicated. In the 1950s, the Israeli government held architectural competitions for the design of a permanent building for the Israeli parliament. But it was only in 1957, when James de Rothschild offered to finance the building that things really started to move along. The cornerstone was laid on October 14, 1958. Nevertheless, the new complex wasn't dedicated until on August 31, 1966. The Knesset building is connected by a walkway to the Israeli Supreme Court, whose building was donated to Israel by James de Rothschild's wife, Dorothy. An odd fact about the Knesset is that it must be one of the few parliament buildings in the world not to be built on land owned by the country's government. The Knesset sits on land leased from the Greek Orthodox Patriarchate of Jerusalem. While many people are aware of the famous Chagall windows at Jerusalem's Hadassah Hospital, fewer realize that the Knesset is also home to more Marc Chagall artwork. The reception hall was designed and decorated by the artist as a gift to the State of Israel and boasts a set of three tapestries, 12 floor mosaics, and a wall mosaic that covers the entire north wall. The works trace the history of the Jewish people from the days of the patriarch Jacob to the founding of the State. The tapestries took four years to make. 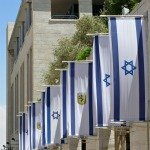 In addition to touring the building, if your Hebrew’s good and you’re interested in seeing the Israeli political process in action, you can observe the parliamentary deliberations from the public balcony during Knesset sessions open to the public on Mondays (16:00), Tuesdays (16:00) and Wednesdays (11:00). You can catch a guided tour of the Knesset in a variety of languages on Sundays and Thursday between 8:30 a.m. and 2:00 p.m.
Security is tight here. 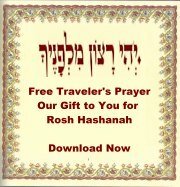 In addition, you must show your passport or an Israeli identity card or you will be refused entry. And there is also a dress code: No tank tops, shorts or jeans. No sandals for men. No belly baring shirts for women. And no Crocs for anyone unless the Crocs are black or navy.